This palace, also known as the ‘ Amba Vilas Palace,’ is the residence of the erstwhile royal family of Mysore, the Wodeyars. The palace is well maintained and architecturally stunning. Also known as ‘Rajmahal,’ this erstwhile royal residence in Jaisalmer was constructed around 1500. With well-kept grounds and fully renovated sections the palace draws a steady stream of visitors. The Luxembourg palace was built as a royal residence for Marie de Médicis, mother of King Louis XIII of France and is located in the heart of the 6th arrondissement in Paris. The palace has the second largest park in city and is a popular spot for people looking to escape the hustle and bustle of Paris. Lakshmi Vilas Palace, an extravagant building of the Indo-Saracenic school, was built by Maharaja Sayajirao Gaekwad III in 1890.The palace is the chief private residence built till date and is four times the size of Buckingham Palace. At the time of construction it boasted the most contemporary facilities such as elevators and the interior is reminiscent of a large European country house. It remains the residence of the Royal Family, who continues to be held in high esteem by the residents of Baroda. 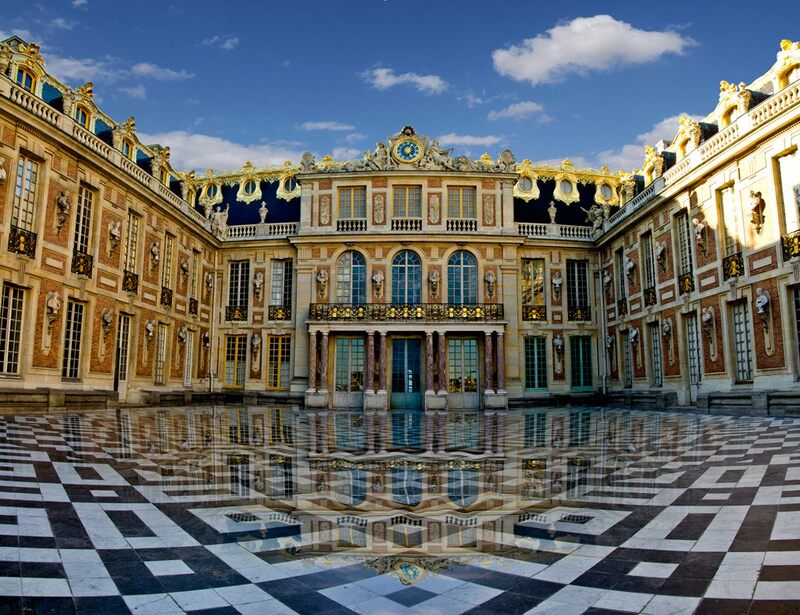 This grand palace was built in the mid-17th century during the reign of Louis XIV to showcase the absolute power of the French monarchy, which was then at the zenith of its glory. Its size and decor reflects the Louis XIV’s taste for extravagant luxury. Built on an island in the Lake Pichola in Udaipur, this is also known as the ‘Lake Garden Palace.’ The palace’s construction is credited to the Sisodia Rajput dynasty of Mewar. The erstwhile royal family used the palace as a summer retreat. Built in 1842 by King Ferdinand II, the Pena National Palace in Portugal is the oldest European castle of the Romantic era. The palace was built on the ruins of a monastery severely damaged in the Great Lisbon Earthquake of 1755. Today, with it’s unique red and yellow facade restored, it’s one of Portugal’s most visited monuments. This palace in Jaipur includes the Chandra Mahal and Mubarak Mahal Palaces amongst other historical structures within its grounds. The Electoral Palace located adjacent to the Basilica is considered one of the most beautiful rococo palaces in the world. The wonderful rococo staircase in the south wing, a creation by the artists Seiz and Tietz, is particularly worth seeing. On special occasions, concerts are performed in the Grand Chamber of the rococo wing. This palace, built in 19th century, was the administrative centre of the Ottoman Empire and served as the residence for the last Sultan. Popular Turkish leader Mustafa Kemal Ataturk used the palace as a residence. 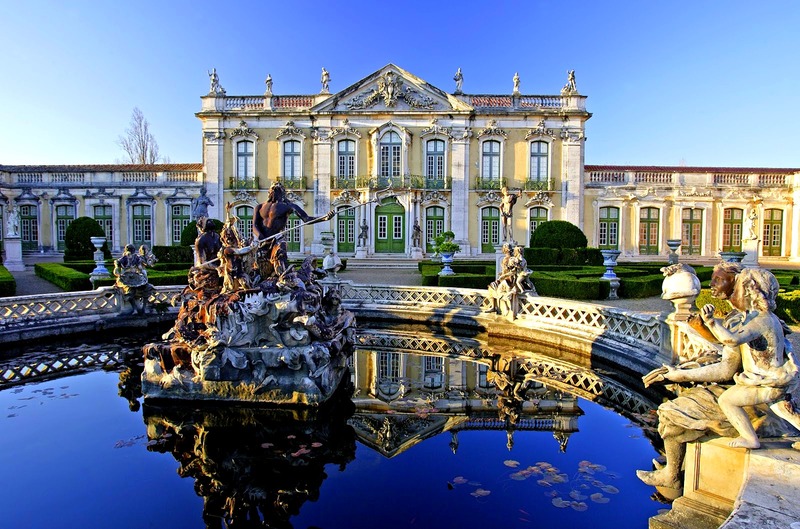 Located between Lisbon and Sintra, the National palace of Queluz is one of the leading examples of the rococo and neoclassical architectural styles from the second half of the 18th century in Portugal. The palace was initially designed as a summer house and was the preferred place for the royal family’s leisure and entertainment. The glorious Potala Palace, once the seat of the Tibetan government, and the winter abode of the Dalai Lamas, was once Lhasa’s prime landmark.The palace has a spectacular architecture consisting of 13 storeys from the 130 metre-high Marpo Ri (Red Hill) and has more than a thousand rooms. Closer to home, the Thiksey Monastery in Leh, India, bears more than a striking resemblance to the palace becasue of which it’s known as ‘mini-Potala’. A hunting lodge built to resemble a French vineyard, this turreted palace was completed by Tsar Alexander III in 1889. The restored palace contains paintings and antique furniture. The Summer Palace is in fact a conglomeration of lakes, gardens and palaces in Beijing, China. Dominated by Longevity Hill and the Kunming Lake, the palace’s grounds cover almost three square kilomtres, two-thirds of which are taken by water bodies. The palace was a former playground for emperors fleeing the suffocating summer torpor of the old imperial city. It is only a short drive (15 km) from central Beijing.